I play this new game when I go to book shops. If they don’t have an ‘Africana’ or ‘South African’ section, I look at covers, and if they interest me, pick them up hoping that they’ll be an African women writer. So few are. I think that’s one of the things that has stood out for me during this whole project which is coming to an end at the end of this month – WE NEED MORE AFRICAN WOMEN WRITERS ON EVERY SHELF IN EVERY BOOK SHOP IN THE WORLD. I’ll save this rant though for my last post for this year of reading though, and get back to the extremely enjoyable London Cape Town Joburg. I loved the cover of this book, and that’s what caught my eye in the shop. Of course, I knew already that this was a South African fiction from the Kwela Logo so that meant I could pick it up without hesitation. It is Wanner’s fourth book which is impressive in itself. I was also attracted to the story because I’ve lived in all three of those cities. 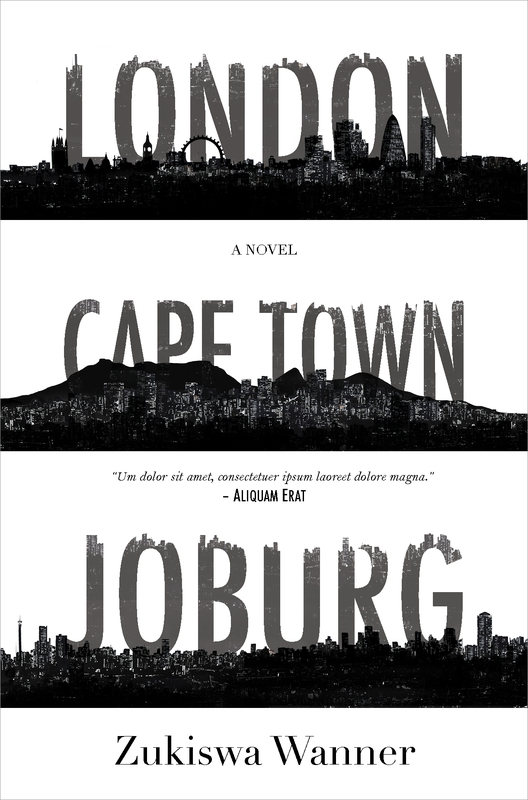 I wanted to know – what about London, Cape Town, and Joburg? What do they mean to the characters in this book? Is setting enough to carry a story? And I suppose for any reader of any book, I wanted to know whether the writer/protagonist thought the same things I did about those places. The story begins with the main characters – Germaine and Martin – in turmoil after their son has killed himself. Without knowing anything about the characters you immediately feel for them, the space between what used to be their ease with each other. The discomfort of loss and silence and a pain that is not able to be expressed in words. Told by both of them, you get the feeling that one is not telling the whole truth, but you are not sure who. Then, you go back to the beginning with them. You meet them when they first met, and the strength of those chapters where they have abruptly and wholly fallen in love at (almost) first sight, and somehow you manage to convince yourself that it will all work out. That the start of the book that you just read will somehow not turn out to be true. I loved the scenes where they first met – the excitement at meeting someone who you connect with so strongly, of the questioning whether that feeling could be real, and of being unsure about things. I loved it because it was so clear that they were both trying to rationalise love, as some form of self-protection, while at the same time just knowing that this was it. As they grow together, they become such a strong team that even two moves and various career changes can’t shake them. Suddenly though, something does. And at the end you wonder, can they get back. Because for them a home is not a place. Home is each other. Wanner manages to capture a place through both the micro and macro things that happen there. I loved her descriptions of driving through London to go out, the ease of taking transport around to see people, and the business of the place. With Cape Town I liked the contrast between her studio and the place they lived. She made Joburg sound exciting and enjoyable (confession, I hate Joburg so this was a big surprise for me). This book is incredible. Read it if you want to feel something.